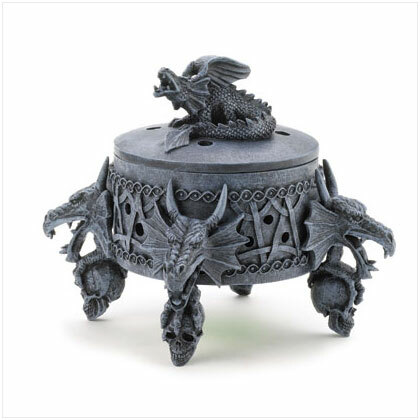 Awesome cauldrons with removable lid that works as a burner for incense sticks, cones, and charcoal incense. Holes in the lid allow smoke from cones and charcoal incense to escape. Made of durable polyresin. Alabastrite. 7 1/2" x 7 1/2" x 5 1/2" high.